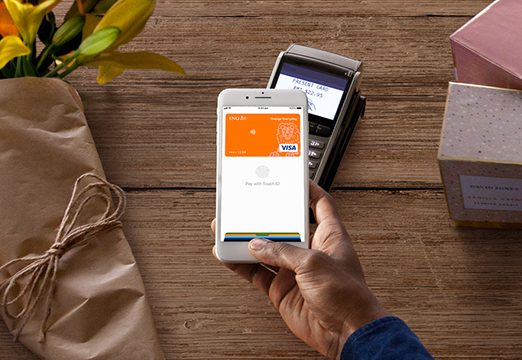 Now you can get the best of both worlds with Orange Everyday and Apple Pay. It's the easy, secure and private way to pay - no card details exchanged at the point of sale. 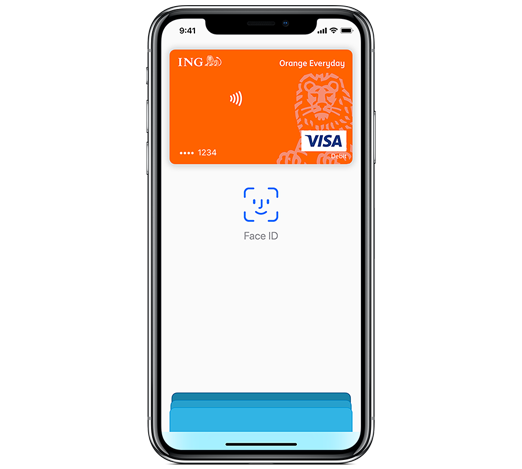 To set up, you need the latest version of the ING app and you must add your Orange Everyday card number to the Wallet app. Add your card to Apple Pay in four simple steps. Use Apple Pay anywhere you can tap and pay. Hold your iPhone to the contactless terminal (No need to wake your device or open an app). Your iPhone will display 'Done' once your payment info is sent. Double click the side button on your iPhone. Hold your iPhone up to the contactless terminal. Double-click the side button on your Apple Watch and hold its display to the reader. Your Apple Watch will gentle tap and beep once your payment info is sent. Select Apple Pay as the payment method at checkout and complete the payment using Face ID or Touch ID. 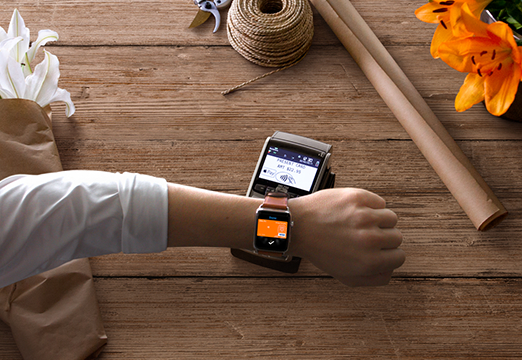 See all ING Apple Pay FAQs. Apple, the Apple logo, Apple Pay, iPhone, Apple Watch, iPad, Face ID and Touch ID are trademarks of Apple Inc., registered in the U.S. and other countries. 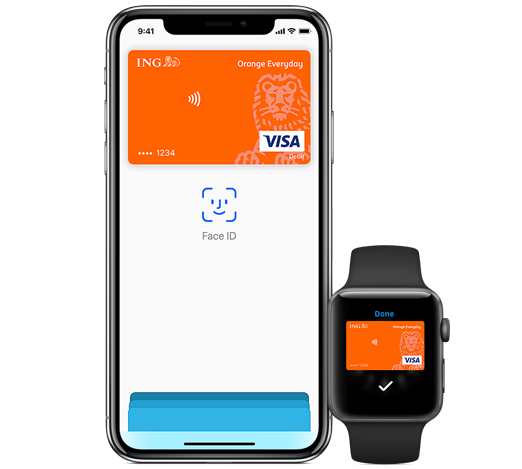 The Apple Pay Terms and Conditions for ING customers are available to consider when setting up Apple Pay on your eligible device.